The following Affirmations were developed to help you attract Love to your life (if it has not yet arrived) or to strengthen it (if you are already in a relationship). Before starting, remember that the main love you must conquer is your own, that is, your self-esteem. 1) We invite you to read all the affirmations aloud (according to the category that corresponds) and that you choose 10 of them. Your choice should be based on how the affirmations in your person vibrate. The important thing is that they vibrate positively and that they do not generate negative thoughts or feelings when mentioning them. 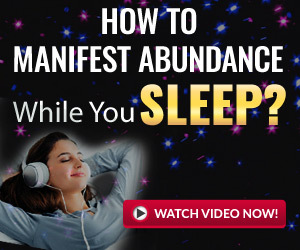 With this selection you will work daily for a minimum of 21 days, although we recommend continuing with the treatment until you achieve your wish, making the corrections to the affirmations that you believe necessary as you progress. 1º In the morning after waking up. 2º At night before going to bed. 3º At noon before or after taking a nap, or to perform a meditation. If at the time of writing you pronounce them out loud, much better. And if you repeat them looking at yourself in front of a mirror, much better. Adapt the program to your availability and enjoy it. I am worthy of having the love of my life at my side. I am in the process of attracting my soul mate to me. I radiated love, magnetism and security for every pore of my body and towards each person. My soul mate is looking for me as I am; Thanks Universe for allowing our meeting. I give thanks to life for giving me the ability to love and be loved. My body and my whole Being are a perfect channel for the expression of unconditional love. The love of my life is coming to me in this moment. Times are perfect, the love of my life comes to me in the moment Universally perfect. I open the doors of my heart to keep unconditional love forever in my life. I am a person worthy to love and be loved. True love comes to my life to stay. The more I love unconditionally, the more love comes to my life to stay. All the energy of love is in me. I totally open myself to love. I deserve to love and be loved intensely. I have an abundance of love to give. My whole Being is filled with love now. I allow love to find me, I am determined to attract it to me. Love of my life, I know that my vibrations of love are attracting you to my life. I attract all the romanticism to my life. I breathe love. I feel love. I open my mind and my heart to love. Love brings joy and energy to my life. Permanent love comes to my life. Love, I attract you to me now. I see you clearly with the eyes of love and I love what I see. My love relationship is made in the Universe and manifests now on Earth. Our love relationship is harmonious. Our relationship is getting better and better in all aspects. I am magnetic and irresistible to my partner. My partner and I are very much in love with each other. With my partner we are totally compatible and we are perfectly aligned. Love, affection, respect and chemistry go hand in hand with our partner. My love life is enriched and we learn from each other. At his side I find myself loved, content and safe. We have a unique complicity. I love and love me as I am. We share time and space together every day. Together we feel even more complete. In our relationship there is love, understanding and passion. We respect our beliefs and share tastes and interests. We support and motivate each other. Whenever we are together, we have fun. We always have time for romance. Love and passion grows and is renewed every day. We complement and understand each other in all aspects. Together we enjoy love and prosperity. I give and receive love with passion and tenderness. And do not forget to Share this article with your friends! Thank you.